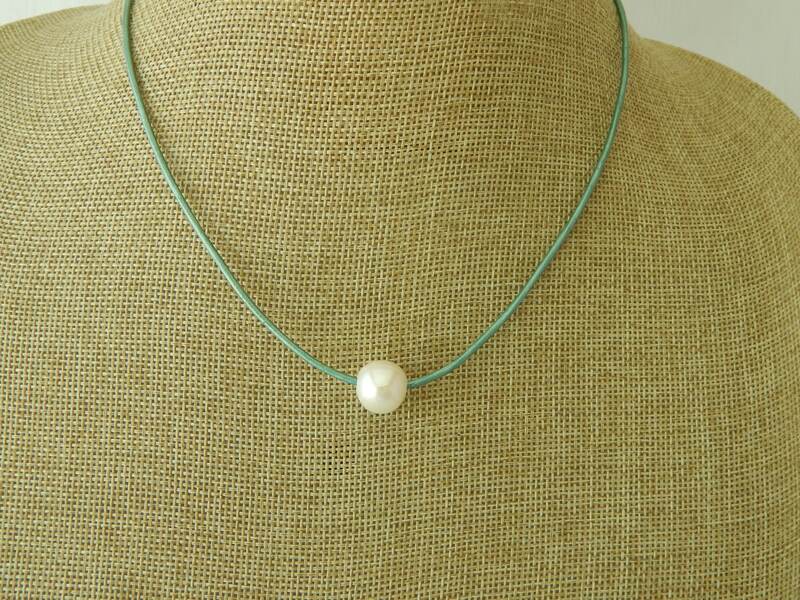 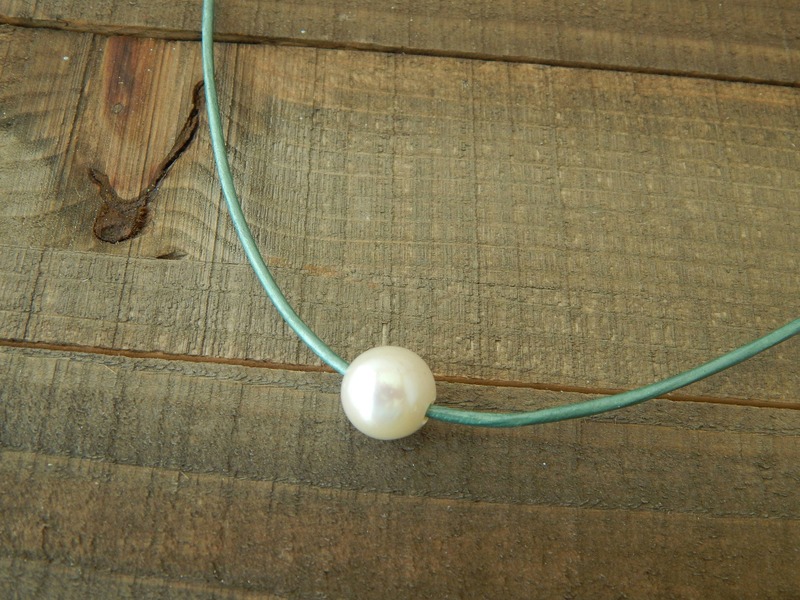 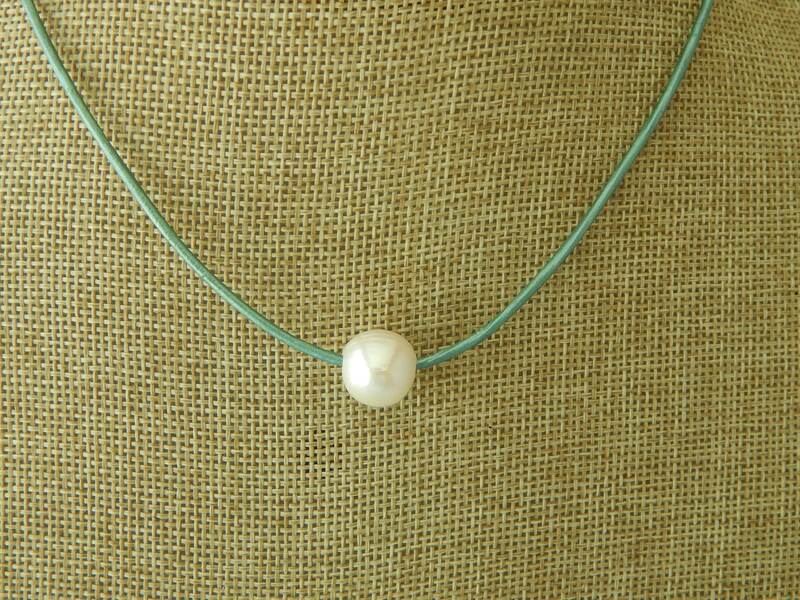 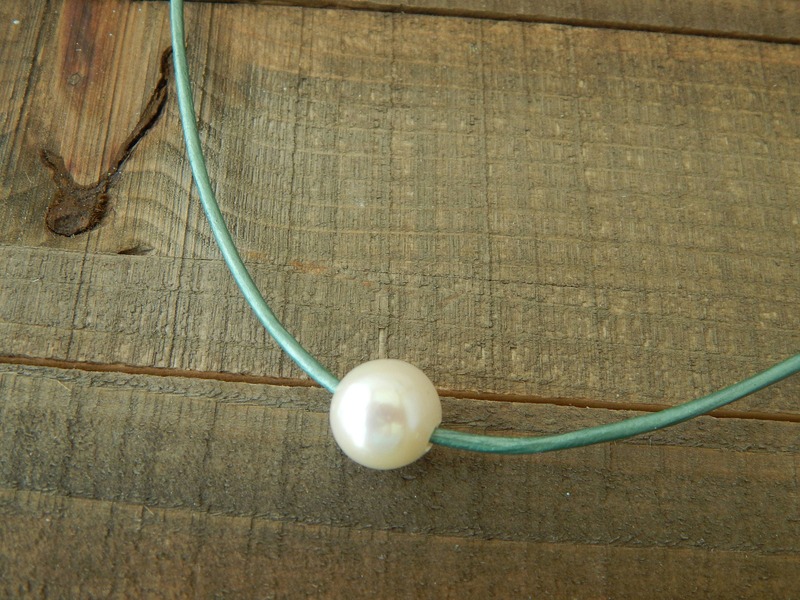 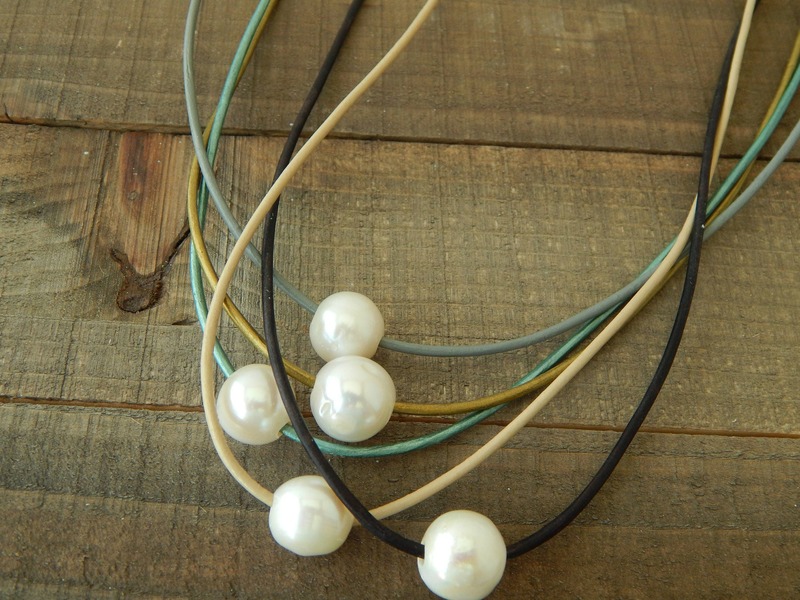 Metallic turquoise leather cord holds a freshwater pearl that closes with a pearl that slips through a loop closure. 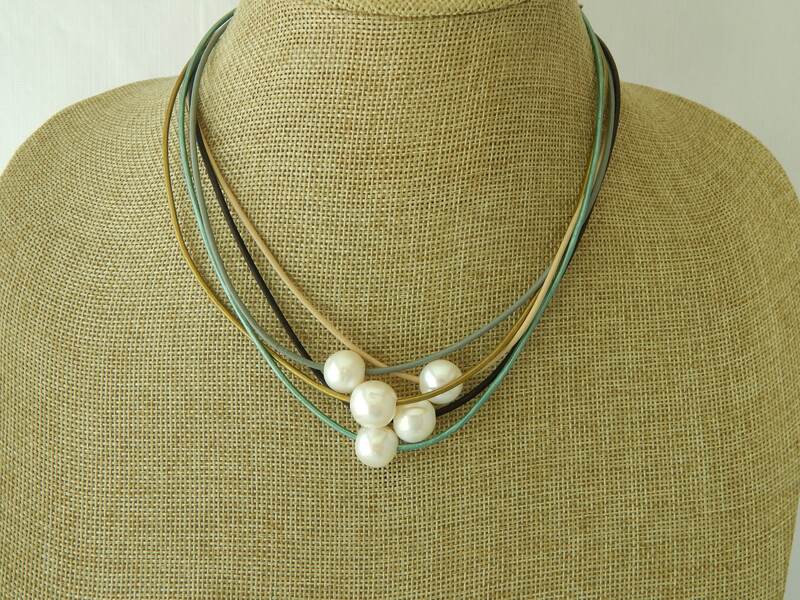 Wear this layered with longer necklaces or wear them stacked. 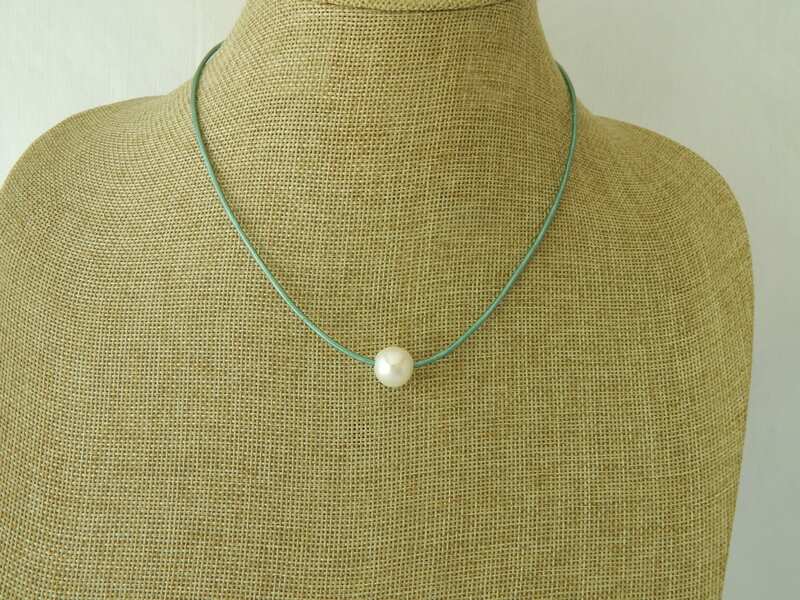 Light weight and comfortable to wear this will be your everyday go to piece this summer.